We purchased some sedum tiles several months ago. Now a majority of them look like the attached. Can anyone tell me if this is a disease? Fungus? Too much water? Would like any suggestions on how to try and treat to save this. From the looks of your picture, it appears that you may be over watering your sedum along with your other succulents. The Angelina Stonecrop Sedum is very drought tolerant after it is established. You appear to be located in planting zone 6a. Regular watering is only needed after the first week after planting. 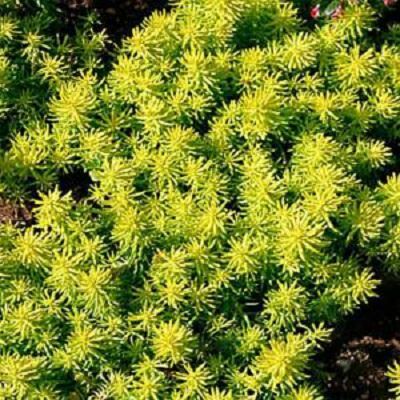 The Angelina Stonecrop Sedum will do best in a well-drained soil with full sun. Depending on your weather, you may only need to water once a week for the next 3 months and then only once a week-10 days thereafter. The more rain you have, the less you will need to water. I am with Rick on his diagnosis, too much water, how is the drainage there? Does it pool when it rains? I recommend doing a delicate clean-up at the site, remove all the failing, decomposing branches of the sedum that surround the heathy plants. Did you mulch the sedum? 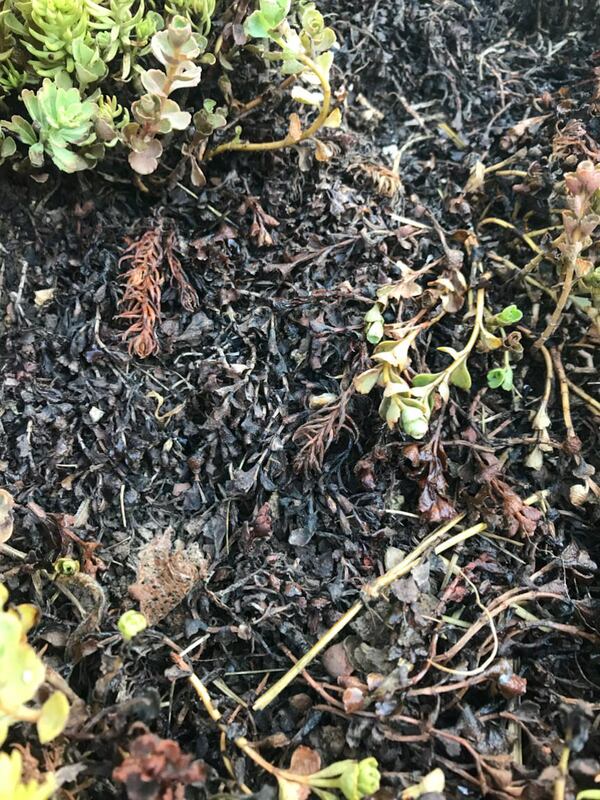 Too much mulch around sedum can cause the plants to stay soggy and wet, pull some mulch back if you did indeed mulch the sedum in. Just one more suggestion, unbelievably sedum can root in water, crazy right…the plants ultimate enemy when planted in the ground, water will aid in sedum propagation. First, cut a fresh healthy branch of the sedum, then remove the bottom inch or two of the leaves; next immerse the tiny stem into a small bottle of water, (i.e. a vanilla extract bottle) leave for a few weeks and you will see the roots begin to grow. When the roots are about one inch long, plant the tiny sedum in well drain cactus and succulent soil to make your own plug. Once the plant begins to produce leaves transplant into the clean open spaces of the sedum bed. This can be done again and again until your bed of sedum is full!